For centuries, civilizations around the foothills of the Himalayas have been enjoying the benefits of this magnificent gift from nature. These pink and white shaded crystals of rock salt have been known for their natural abilities to aid in healing, purify the air and bring a pure form of light into the homes of those who place them on their windows. These days, Himalayan salt lamp benefits are still well known, but are now available to everyone across the globe. The secret is out on these purifying natural elements, as well as the energy boosting capabilities in which they contain. Himalayan salt, much like rock salt is a natural ingredient that is used as a food additive, but unlike the average table salt equivalent, Himalayan pink and white salt doesn't contain harmful bleaching agents to give them a pure white look. Mined from the ground surrounding the Asian side of the Himalayas, these natural, untouched purifying crystals have proven benefits, just waiting to be untapped. Himalayan salt crystals large enough, are hollowed out, and used as lamps to bring a space pure and natural light that is much healthier than dull and cold incandescent or fluorescent tube lighting. The light source is a LED light that is designed to only give out a natural colour temperature setting of around 5500k (the colour temperature of natural daylight). The LED is positioned inside the Himalayan salt lamp to shine out, and resonate through the crystal, supplying an entire room with a healthy, warm glow. Studies have shown that our sensitivity to light is such an important factor in our lives that more people who work under fluorescent and cold lighting tend to be more depressed and unhappy. Bringing a warmer light lifts the spirits, enabling a pure glow to surround you and your family, boosting your energy and subjecting you to a powerful spectrum of light energy that is not possible with specialist lights such as UV bulbs and black lights. 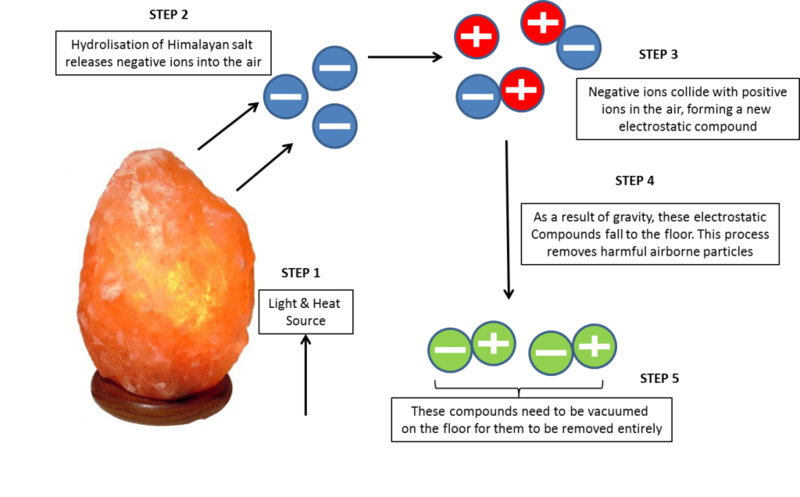 Besides the fantastic benefits of enjoying a warm, bright and comfortable light source in your home, the Himalayan salt crystal lamps benefits don’t stop there! Himalayan salt, like other pure forms of salt has a natural absorption factor that allows it to absorb moisture in the air much like an air purifier does. This purification process is all natural, and allows the salt crystal to absorb moisture that may contain nasty particles that are trapped within the water in the air. It is a natural ionization process that will continually purify and feed your home with oxygen, stripped of dirt, dust and other particles. 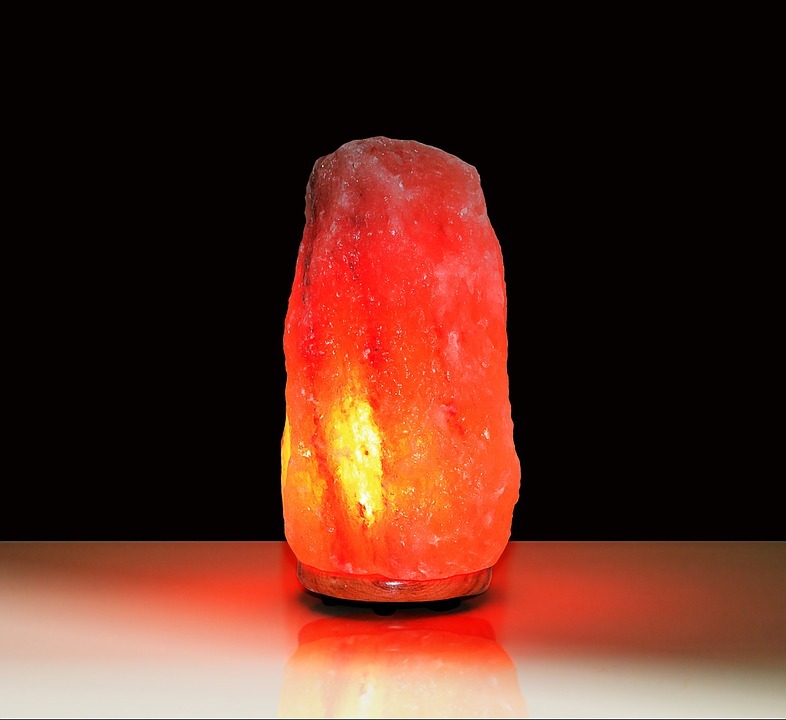 This makes the Himalayan salt crystal lamp one of the best items to buy if you suffer from allergies or sensitive to pollen and dust particles in your home. Some of the best medical and alternative therapists agree that the environment we live in, the exposure to sunlight and the effects of artificial lighting can play a huge role in our mood, well-being and happiness. Himalayan salt crystal lamps benefits everyone in this regard, offering an air-purifying source with the added benefits of colour therapy and a homely glow that shows that nature has an answer to even the most modern of issues in our daily lives.